Madhya Pradesh Public Service Commission has declared the results of the State Eligibility Test (SET) 2018 examination on its official website. 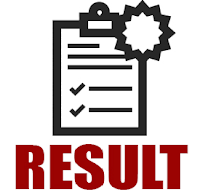 The Commission has declared the results of the examination yesterday ie 05th April, 2019 on the official website www.mppsc.nic.in. Let us know that the MP SET examination was held from January 17 to January 24, 2019. The list of class-wise and class-wise cut off marks has been released by the Commission for the candidates. Candidates can view their results by clicking the link below to see their cutoffs and results. Click on the results State Eligibility Exam link. You will now have the result of the State Eligibility Test (SET) 2018 examination. Your result will be in a PDF format. Download it and keep a printout secure for further processing. Click here for the direct link of the examination results.